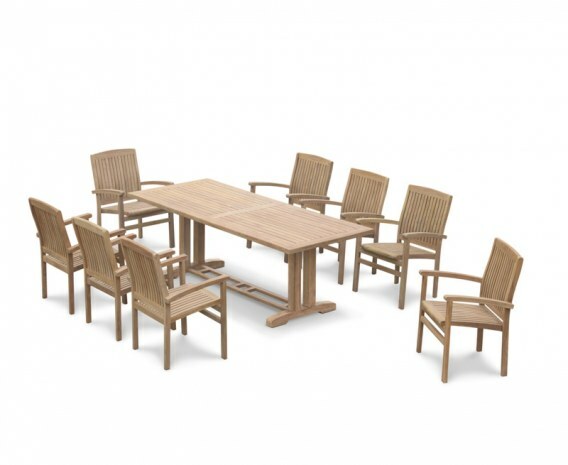 This Cadogan garden pedestal table and 8 Bali stacking chairs has been manufactured from sustainable A-grade teak with mortise and tenon joints for long life and aesthetic appeal. 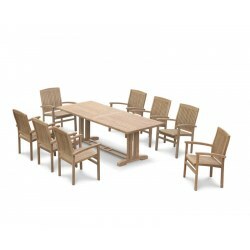 This pedestal dining set features a table with pedestal base for more legroom, ensuring comfortable alfresco dining for those long summer evenings. The Cadogan garden pedestal table and 8 Bali stacking chairs can remain outside all year round whilst requiring minimal maintenance. 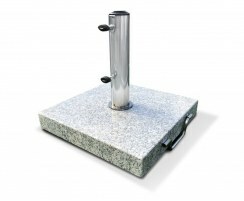 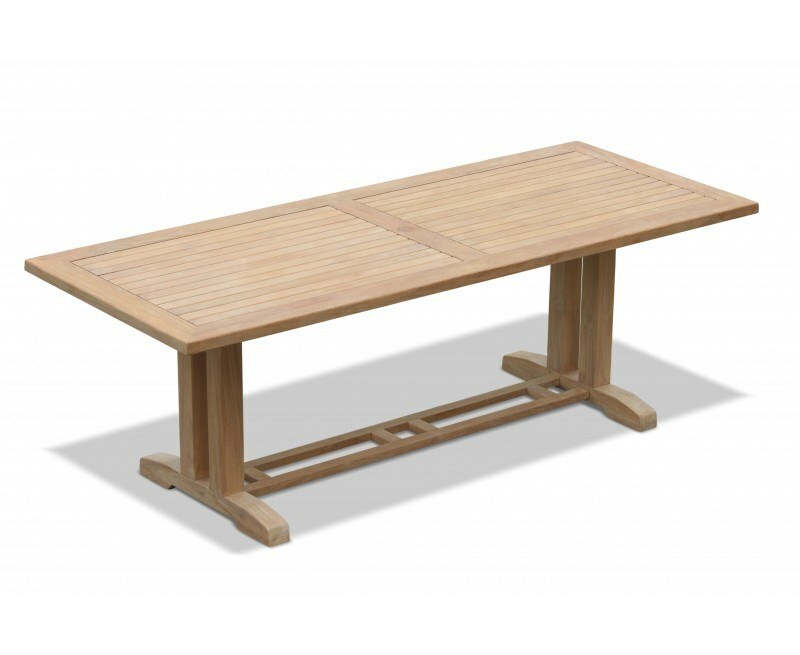 The 8 seater table features a pedestal base to allow more legroom, and a thick 4cm table top with chamfered edge for comfort. 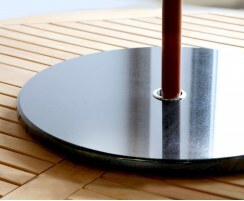 The table is predrilled for a parasol hole and includes a teak insert for when a parasol isn’t in use - simply tap from beneath the table to remove. 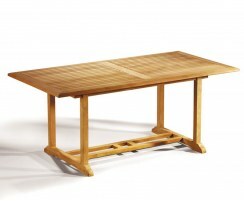 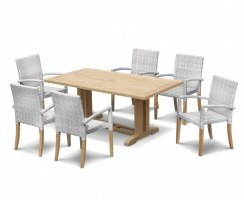 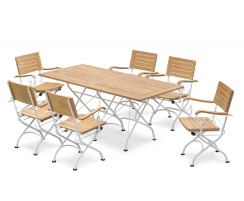 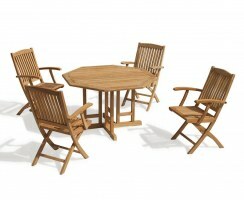 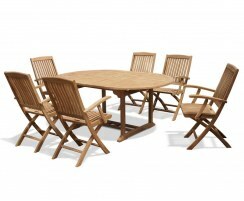 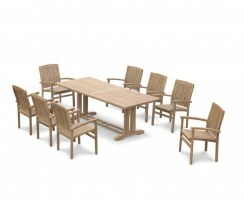 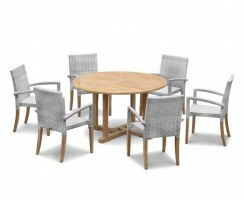 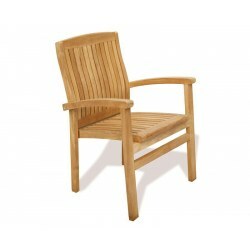 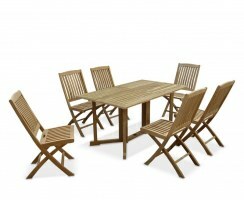 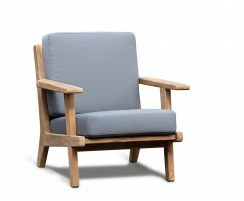 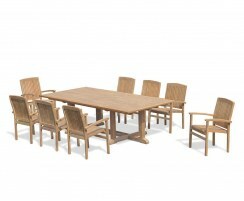 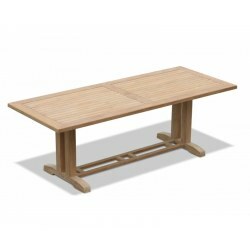 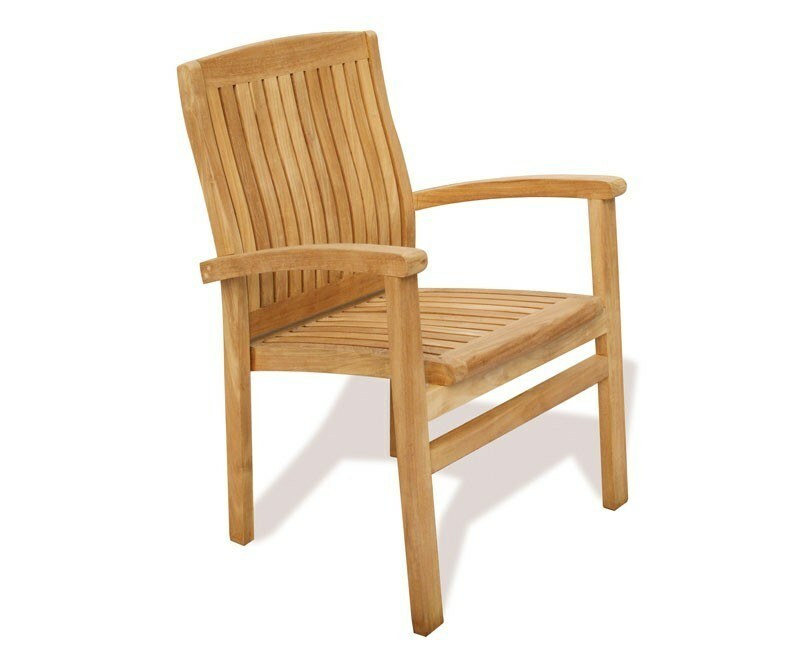 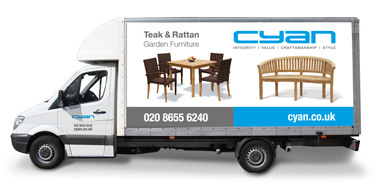 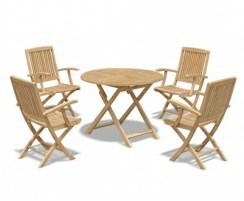 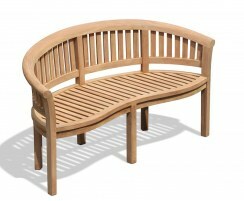 We will deliver this teak dining set to you fully assembled for your immediate enjoyment. 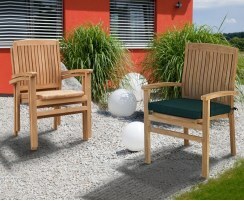 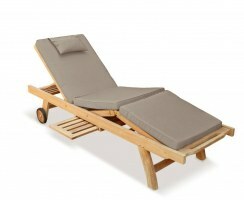 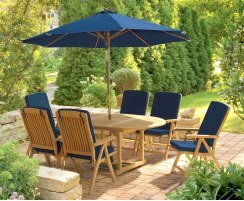 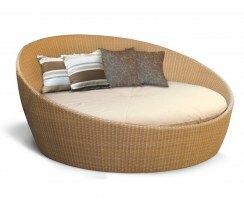 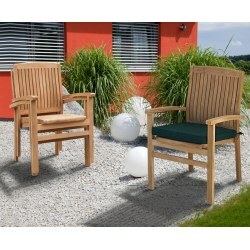 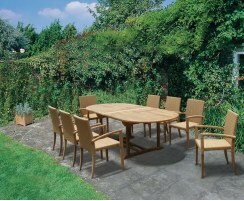 Consider accessorising this patio dining set with cushions and a parasol and base, (not included, available separately).